To test the D5's market-leading autofocus system, DPReview took the camera out to Santa Fe, and put one in the hands of professional photographer Michael Clark. In this field test, DPReview's technical editor Rishi Sanyal joined Michael to shoot a range of activities, including dirt bikes and white-water kayaking. Watch the video to see how the D5 performed. *A new modular design for memory lets you select a model with either dual XQD slots or dual high-speed CF slots. 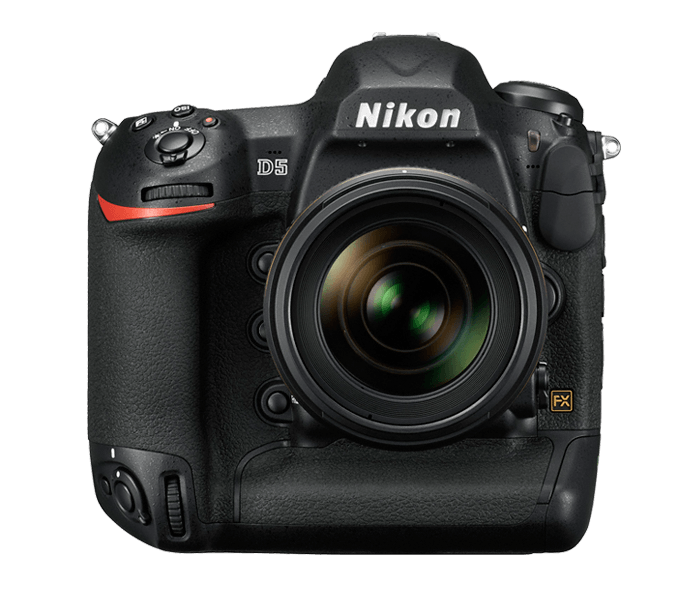 The D5 is the first Nikon full-frame DSLR to incorporate control for its new radio controlled Advanced Wireless Lighting system. With the optional WR-A10 (Wireless Remote Adapter) and WR-R10 Wireless Remote Controller (transceiver) (requires firmware version 3.0 or later), the D5 can control and fire up to six groups of SB-5000 Speedlights around obstacles, corners, in bright sunlight—even in another room—up to 98 feet away. Access control right from the D5's menu and shine light on yet more shooting opportunities. Of course, the D5 is also fully compatible with SB-910, SB-800 and SB-700 series Speedlights. Shoot more and wait less with the D5’s ultrafast communication system, which performs over 1.5 times faster than D4S. Transfer files over LAN at blazing speeds: approx. 400 mbps wired and 130 mbps wirelessly with the new optional WT-6A Wireless Transmitter, which supports the IEEE802.11ac standard and extends connectivity distance to 656 ft. For even faster performance, shoot in two smaller RAW sizes: RAW size S (12 bit, uncompressed) and RAW size M, both of which maintain exceptional sharpness and detail. 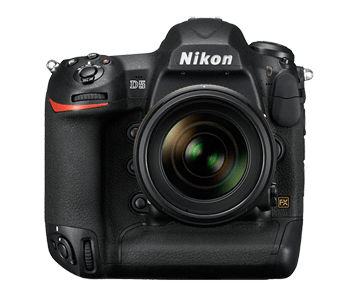 The D5 lets you select your preference—dual XQD card slots or dual Compact Flash slots. The XQD format is designed to take advantage of the speed that the D5 can offer photographers. 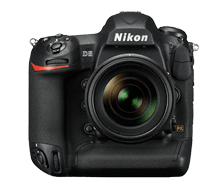 For instance, the Nikon D5 can shoot at 12 frames per second and can record up to 200 NEF (RAW) and/or Large JPEG images during one high-speed burst. For photographers shooting sports, action and other fast paced events or 4K UHD video, it is vital to have a media card format that can keep up with the camera. XQD is the solution.